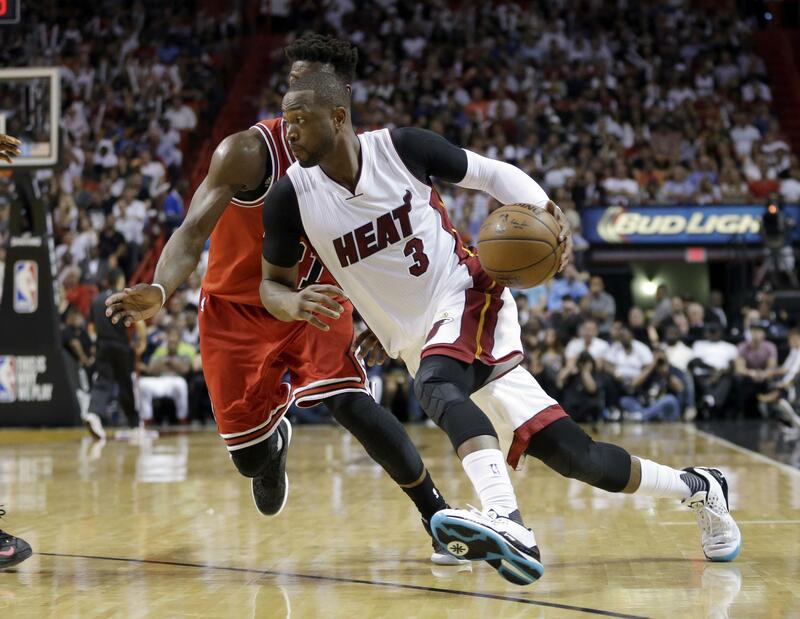 Sat., July 9, 2016, 9:01 p.m.
MIAMI – All-Star guard Dwyane Wade said Saturday that he intends to try to find ways to stop racial violence, and that he has friends who are willing to commit to the cause. Two of Wade’s closest friends – Carmelo Anthony and LeBron James – have spoken out on social media in recent days in response to two recent shootings of black men by police officers. Then Thursday in Dallas, five police officers were killed and seven others wounded; one of the suspects allegedly said he was targeting white officers. This will not be the first time Wade tackles a polarizing issue. When unarmed teen Trayvon Martin was shot to death by a neighborhood watch volunteer in a gated Central Florida community in 2012, Wade and James – then members of the Heat – arranged a team photo with all players in hoodies, just as Martin wore on the night he was killed. Wade’s foundation also plans on trying to develop safe-havens for kids in Chicago, his hometown and a place that has long been dealing with a gun-violence epidemic. Wade had a nephew injured by gunfire in Chicago in 2012. Published: July 9, 2016, 9:01 p.m.